Swiss watchmaker Rado has acted as the official timekeeper of 23 Kremlin Cup, held from 13 to 21 October in the sports complex "Olympic". At the corners of the court were installed gauges to match time and speed innings. In addition, every visitor of the tournament in Rado Smash Corner in the viewing area can measure the speed of his or her delivery. The official watch of the Kremlin Cup 2012 was the new Rado D-Star 200. This model is a prize, got by Andreas Seppi (in the men's singles), Frantisek Cermak and Michal Martinyak (in doubles). They are the winners of the tournament. Tennis players Caroline Wozniacki (winner in singles), Ekaterina Makarova and Elena Vesnina (in doubles) became the owners of the ultra-thinnest watches in the world from high-tech ceramics Rado True Thinline. 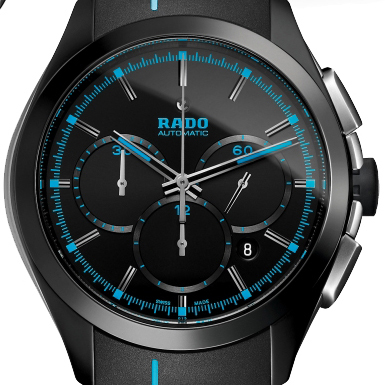 Official website of Rado watches.